Claims the mining boom is over are overstated and government needs be careful not to strangle the emerging coal seam gas sector with red tape, a mining service company has warned. WDS Limited managing director Terry Chapman expects coal and gas exports to continue to grow for decades, The Australian reports. "Regulation, red tape, workplace flexibility are all factors in the success of what is an embryonic industry with huge potential to advantage the nation," Chapman said. He explained there is opportunity for government to streamline regulation in the sector. "Improved certainty in the approval process will stimulate more projects and consequently that results in more opportunities for the construction sector, as well as local jobs," Chapman said. He explained the controversy surrounding the coal seam gas sector puzzles him. "I'm puzzled why coal-seam gas is so controversial because the impact on the local community is immense: we employ a lot of Australians and buy a lot of services and it is profitable," he said. WDS has major plays in the coal seam gas sector, employing about 500 people to work in CSG. "The large LNG plants will be completed around 2015 but the infrastructure for feeding these large compression facilities will go on for at least another 20 years, so there's a good long tail of work ahead of us," Chapman said. "Over that period thousands of wells and associated gathering infrastructure will need to be developed." The polarising coal seam gas debate has split business, politics, activists, environmentalists and farmers. Despite over 9000 jobs being slashed from the NSW and Queensland coal sectors in the past 15 months and dropping coal prices, Chapman said the outlook for coal is positive. He explained coal fuels about 67 per cent of China’s electricity needs and Chinese energy demands are forecast to grown by 60 per cent over the next ten years. "We don't see coal being replaced any time soon," Chapman said. 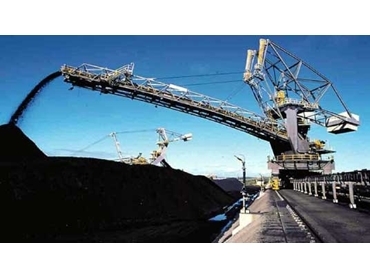 He attributed Australia’s current coal sector woes to the industry’s cyclical nature and said “in time [it] will recover as both the Australian cost base reduces and as industrial output picks up".